Ever wished you could just soar and dunk it like a pro? Now is your chance as Voodoo has released Dunk Hit, a game with one objective: put the ball in the hoop. Not only is the goal simple, but it’s also one touch so you’ll get into the groove quickly. Even if you don’t play basketball and don’t have a lot of hops, you’ll fill up the score sheet. In Dunk Hit you just need to put the ball or another object in the basket before the timer runs out. If you make the shot before the timer goes off, another hoop shows up so you can shoot more. The timer is refreshed every time and you just need to keep this up to pile up the points. Tap the ball to give it a lift, and tap repeatedly to give it an extra push. Several taps are needed for a dunk, and if you’re coming up short, tap again to get at the rim. It sounds easy enough, but you’ll need to master the distance and timing for maximum efficiency. The presence of the timer adds another layer of challenge to get things done right. The bottom line is Dunk Hit is all about scoring as many points as possible. It’s like a throwback to the classic video games and should please those who like their mobile games simple but fun. 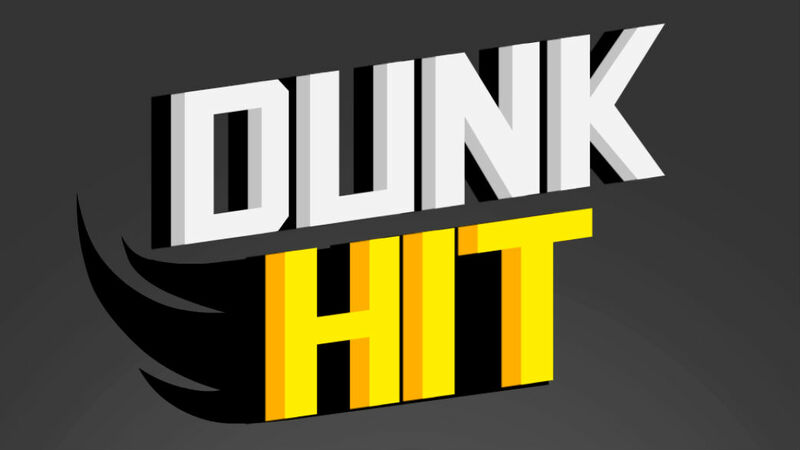 If you like to shoot hoops but don’t want the complexity of basketball simulations, give Dunk Hit a try and you’ll see how addictive it can be.